We are the Rensselaer Rocket Society! Meetings are held every Monday and Wednesday on the 4th Floor of the Ricketts Building from 7 pm to 9 pm. We are the premier rocket club on campus at Rensselaer Polytechnic Institute. Our team consists of students with majors ranging from Aerospace Engineering to Computer Science and who are passionate about rocketry. Our club was founded is the spring of 2011 to compete in the 2012 NASA University Student Launch Initiative Competition. 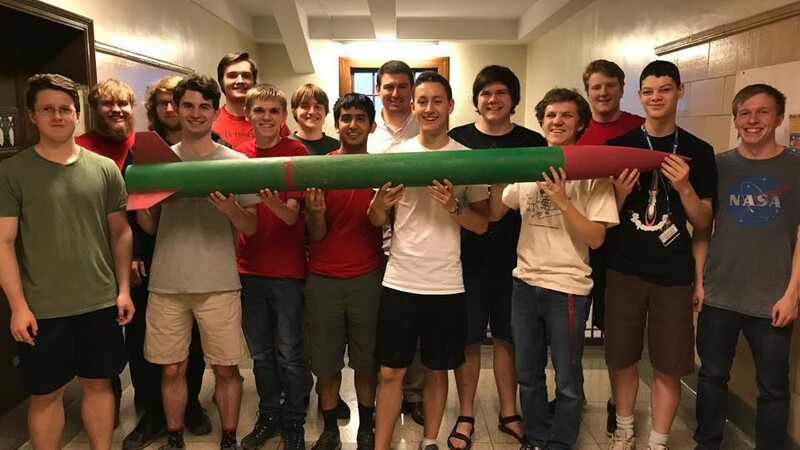 The challenge for this event was to develop and build a high powered rocket that would reach as close to one mile as possible and would carry a scientific payload. Last spring the Rensselaer Rocket Society traveled down to Culpeper, VA, in order to participate in the 2018 Battle of the Rockets, where they won 3rd Place for the Rover Competition. This year the team is focusing on preparing for the 2019 Battle of the Rockets competition and other projects.